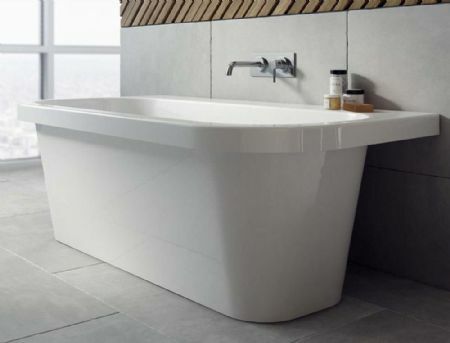 A modern back to wall double ended bath with a confident design, creating an effortless statement in any bathroom. 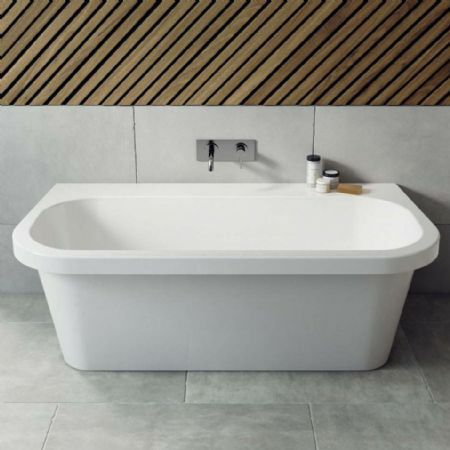 Steeped in British manufacturing history, the Ramsden and Mosley range of beautiful solid surface baths are named after the isles that surround Britain. All Ramsden & Mosley products take care to consider the environment in mind. The result is a product that is not only made from the finest materials but from materials that are ethically sourced. Manufactured from a mix of high grade polymers and natural minerals. 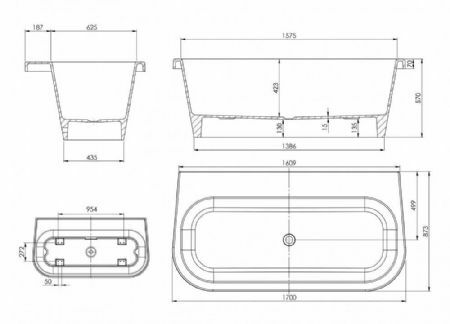 All Ramsden & Mosley baths are manually polished for several hours by hand to give the perfect finish. Delivery to your door in 4 days from ordering.